Cedar oil acts to leach moisture from insects’ bodies in a process called osmotic dehydration. They basically dry out and die from the lack of water. Bugs, like people, have particular pH levels their bodies must maintain to carry out normal bodily functions and stay healthy. Cedar oil alkalizes the insects’ body serums so they can no longer function and are destroyed. Insects need body fat to stay alive, and cedar oil acts to emulsify their body fats (breaking fat globules up into much smaller emulsion), eventually killing the pests. By interfering with bugs’ normal respiratory functions and causing them great discomfort, cedar oil forces insects to avoid breathing altogether, and they die of suffocation. This is the most commonly discussed method of elimination using cedar oil for pest control. Scent-driven bugs, which excludes beneficial insects like bees and butterflies, rely on the compound octopamine for normal bodily functions like breathing, metabolism, reproduction, and movement. Cedar oil blocks their octopamine receptors, and the pests die as a result of the interference. 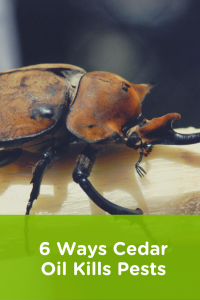 Cedar oil is able to dissolve pests in their early life cycle stages like eggs & larvae, and it can disintegrate the exoskeletons of adult pests, too. This induces rapid metamorphosis by elevating enzymatic levels and kills the adults pests. Would this work on ants? It would! Our outdoor formula kills 100s of “bag bugs” like ants, fleas, ticks, silverfish, and more! Hi. How about stink bugs in the vegetable garden? Is it effective with them and is it safe to use on vegetable plants? Thanks. Wondercide is made with human food-grade ingredients so is safe to use on vegetable plants. You’ll want to use our Outdoor Pest Control as the indoor products are not plant-safe. Let us know if you have any other questions! This is for outdoor use and not to be used on your pet, right? We have products to use outdoors AND products to use directly on your pets. For pets, you’ll want to use Flea & Tick Control for Pets + Home. Hope that helps! What could I spray in my bird bath to stop mosquitoes from developing without harming the birds? Happy Monday! I hope you had a great weekend. Thanks so much for checking out our blog, and for your question. Because birds have such sensitive respiratory systems, we don’t recommend direct application, including treating the water they bathe in. For controlling mosquitoes around a bird bath, we recommend treating the base of the bath with our outdoor concentrate or cedar shavings to act as a repellent barrier. As with all mosquito control, keeping the water fresh and replenished frequently will help prevent stagnation and an environment prone to breeding. 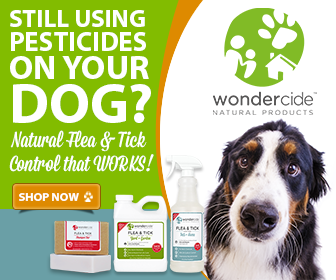 I have been fighting against mites for 8 months, does the home and pet flea and tick spray kill mites too? I am so sorry to hear that you have been battling with a mite infestation for 8 months! I applaud your perseverance! Lucky for you, our Flea & Tick Pets + Home spray will help kill and repel all non-beneficial pests, including mites! It will kill all life stages of the non-beneficial pests as well! We recommend using our product in a non-thermal ULV fogger to treat your entire home when fighting a mite infestation, as they are tiny little pests and tend to find really great hiding spots that are not easy to get to in traditional spraying! You can watch a video on how to fog your home with our product on YouTube here. Please note that the product in the video, BioDefense, is now known as Indoor Pest Control and is made from the exact same formula as Flea & Tick Pets + Home. You can use both formulas around your home, on your pets, and even on yourself! Thank you for your quick response back to me. We have bought the non – thermal ULV fogger. Now do we have to do any special preparation before we fog? P.s….. We absolutely love your products! Hey Tricia…did it work for the mites? I want to know too, Tricia. Did it work? Hi, how is the outdoor formula different from the indoor formula other than concentration? Without thinking, I put a little of leftover concentrate from the outdoor bottle into the indoor bottle. Did I destroy the indoor bottle for use on the pets, or can I add some water to it? Thank you for your question! Flea & Tick Control for Pets + Home is formulated specifically to be safe for dogs’ and cats’ skin and is pH balanced accordingly. It’s also non-staining and dries clear. The outdoor concentrate, though it is also made with organic cedar oil, is not formulated for use directly on dogs or cats, so we would not recommend spraying them with the new mixture. You could definitely still use the spray on a patio or porch, though. We hope this helps to clarify, but please let us know if we can assist with anything else. My dog eats grass. Is your outdoor spray safe for him? Thanks so much for your question. The outdoor spray is made with human grade ingredients, and it’s safe if your dog eats the grass that you’ve treated with it. Regards! I have suffered with some type of biting body mite for almost seven years. I have spent thousands of dollars. I have tried permectine and ivermetin, both by prescription. No dermatologist can help me. They diagnosed with delusional parasites and put me on psych drugs. Trust me, these things are real. I have found them crawling on my body when I feel a bite. I have tried Dr Ben’s Evictor and Kleen Green. I get relief but not total eradification. I’m exhausted. My energy bill is high from all the washing of clothes and bedding. We’re here, and would love to work with you to eliminate these pests. 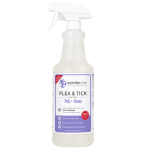 Our Flea & Tick for Pets+Home spray will eliminate a large number of pests, including most types of mites, fleas, ticks, etc. Its made from natural, human-grade ingredients and is safe enough to apply directly to your own skin, as well as bedding, furniture, and other home surfaces. If you’re not certain what sort of pest you’re dealing with, applying thoroughly around the home and on yourself is advised to ensure the best chance at elimination. The spray is safe enough that you can apply it to yourself daily. Please feel welcome to reach out to us directly if we can provide more information. We’re thinking of you, and are here to help. Hi Sonya, If you can actually see them, then get a microscope and positively identify them. Most mites that live on us are microscopic and you need a microscope that will go up to a four hundred magnification. They aren’t too awful costly. Shipping tape works good to capture them, and then fold it over them to enclose them in the tape, and then view them with the scope. I would guess bedbugs if you can see them. Most mites burrow into the skin and lay eggs. They have to be scraped out of the skin to identify them, and they are not easy to locate usually. Wow, a lot of great information. I have been using the skin tonic on my cat and once it is on her, the fleas try to head for untreated areas…if there are any. I saw a few fleas immediately after she got off a pillow which had gotten caught in the product and they were dead! I have sed it for several months and it not only helps destroy the fleas but leavesher smelling really nice. Your product works very well and now I am going to get some of your indoor spray and knock out some spiders and other bugs. ​We always love getting feedback from our great customers, and really appreciate you taking the time to share yours. We’re here for you, and appreciate you so much! We are fighting a mite problem in our house and want to use your Non-thermal ULV digger idea with the Flea Tick Control for Pets+Home….can you tell me how much is needed per sq ft? Thank you! I hope this works! ​Both our Flea & Tick for Pets + Home and Indoor Pest Control are very effective against mites and will rid you of these pests in a safe, natural way. Our new sprays are still safe to use in a fogger, however we are not certain if it will produce the same very fine, fast-drying fog the former product did. We cannot give guaranteed instructions for use because of this. This blog post is a few years old (when we still had the product recommend for fogging available), and we’ll let our marketing team know the information needs to be updated. In the meantime, we welcome you to use the sprays in a compression sprayer for quick and easy home treatment for mites. The compression sprayer offers a finer mist than the regular spray bottle, and is continuous for faster application. Please let us know if you have any other questions about treating for mites in your home. Does it work on bacteria too. Like giardia and Cocsidios? Giardia and coccidia are protozoan parasites, which are biologically very differently from the insect pests and parasites that our outdoor line of products are designed to treat. Talking with your veterinarian about treatment options and picking up any feces from affected pets as soon as they go to the bathroom are good measures to take. For any pets who are dealing with giardia/coccidia currently, our Detox and Neem Bark are an excellent way to support healthy gut and immune health and can be a valuable tool to aid in recovery after dealing with health concerns like parasites. We’re here for you and welcome you to reach back out if there’s anything else we can assist with. Has anyone researched using the Flea & Tick for Pets + Home as a mite treatment in a honeybee hive? Or any other product? 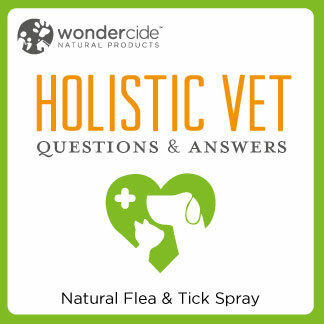 The Flea & Tick for Pets + Home sprays are only designed for use on pets and inside the home. We do not advise spraying this product on your hives. Our Flea & Tick for Yard + Garden/Outdoor Pest Control concentrates kill and repel hundreds of pests, and are safe for use around beneficial insects and pollinators like bees and butterflies. However, we do not recommend spraying bees down directly. Spraying around your hives regularly (vs directly into them) will kill mites in the environment and can still be a beneficial step in your mite control routine. Praise God for your product! I could not be more satisfied or grateful. Pesticides are so terrible for the human body. Wondercide works…period! Thank you for the development of this product. I will be a life long user of Wondercide and will always recommend it to others. Thank you for saving so many of us from the terrors of bugs! My 18 month old son, 4 year old daughter, husband and cat are all precious to me. I searched and searched for an effective alternative to bombing my family’s lungs with dangerous chemicals. Finally, I found you! Thank you for giving my home relief and for providing the peace of mind that my loved ones can play, eat, sleep and enjoy one another’s company without breathing and absorbing harmful toxins throughout our home. Thanks so much for your message! We are so glad that you found us. ​We always love getting feedback from our great customers and really appreciate you taking the time to share yours. ​Your support of natural products for you and your family is much appreciated. What about “meal” a/k/a “pantry” moths? What are your recommendations for getting rid of those? Indoor Pest Control spray is effective at killing and controlling a large number of pests, including pantry moths. Just apply in any areas where you’re noticing these pests— the spray will kill by-contact, and repel. It kills pantry moths at every developmental stage. Best of all, this spray is made from natural, human food-grade ingredients and is safe for use it in pantries, on furniture, rugs, clothing, etc.